Reinvestigate 911 is asking 9/11 truth activists worldwide to write to the Iraq Inquiry in London in support of our submission. Please forward this email to any politicians or journalists who may be interested. Our letter is copied in full below. Since Tony Blair confirmed in his testimony that 9/11 "changed the calculus of risk" when it came to invading Iraq, the Iraq Inquiry must now consider whether we have been told the whole truth about the 9/11 attacks. Please go to this page and fill in the response box. Please say you are supporting the letter from Reinvestigate911 (below) and then add your own comments, polite and factual of course, mentioning any experience or expert knowledge you may have to support your views. Sir John Chilcot, Iraq Inquiry, 35 Great Smith Street, London SW1P 3BG. If you are a UK qualified lawyer please get in touch if you can offer any time pro bono to pursue either our letter to Chilcot (eg is there a judicial review option if Chilcot refuses our requests? ), or matters related to the forthcoming 7/7 inquest. If you write from outside the UK, please explain that there has never been a full independent inquiry into the 9/11 events in the US. The 9/11 Conmmission, run by White House insider Phillip Zelikow, has been criticised by its own members and the trial of alleged 9/11 ringleader Khaled Sheikh Mohammed seems to be postponed indefinitely. The Inquiry's remit starts in summer 2001 when, according to the 9/11 Commission, many warnings of the impending 9/11 attacks were being disregarded in Washington. Commentators agree that 9/11 made the invasion of Iraq politically possible and Tony Blair specifically told the Inquiry that the 9/11 attacks changed the "calculus of risk" in respect to Iraq's alleged weapons of mass destruction. Hence they must look at 9/11 as a major element in the decision to invade Iraq, the matter which is at the heart of their terms of reference. "Thank you for your further letter of 27 July, in which you urge the Committee to challenge the conclusion that the 911 bombings were perpetrated by Al Qaeda. The attribution of responsibility for the 9/11 bombings is outwith the terms of reference for this Inquiry, except insofar as it impacts on the UK's involvement in Iraq. We are nevertheless very grateful for the information and sources of further information provided in your letter and hope you will continue to follow the Inquiry's progress on our website." We welcome your agreement that the attribution of responsibility for 9/11 is relevant insofar as it impacts the UK's involvement in Iraq. Blair made clear that 9/11 was indeed a major factor in the invasion of Iraq while the official paper trail shows that the attribution of responsibility, which includes the failure to prevent the 9/11 attacks, is murkier than first appeared. It is noteworthy that your terms of reference start in summer 2001 when, we now know, warnings of the 9/11 attacks were flooding into Washington. In case there can be any doubt as to the central role of the 9/11 attacks in the decision to invade Iraq, please recall that Blair made his "shoulder to shoulder" speech in the weeks after 9/11 and as we now know decided effectively to subordinate UK foreign policy to the Bush White House at that time. As he explained to you very clearly and repeatedly in his testimony, 9/11 was a major factor in the decision to invade Iraq because it changed the "calculus of risk". This confirms what commentators across the political spectrum have been saying: that the invasion of Iraq was made politically possible by 9/11. Assuming Al Qaeda carried out the attacks independently of any other organisation, an extremely important question remains: how were the attacks able to succeed and hence to change the "calculus of risk"? We accept it is not up to your Inquiry to determine what happened on 9/11, but we contend the public will not be satisfied unless you examine whether the explanation of the causes, offered to London by Washington, of this massive US defence failure was reliable. Given the anger that now exists in many quarters over the weapons of mass destruction allegations and the "dodgy dossiers" in the run-up to the Iraq invasion, we submit that the public will expect you to look into this with great concern and investigate whether the official 9/11 story is wrong, self-exculpatory, misleading, or simply not adequately substantiated. If Washington's explanation is unreliable we contend your report should state that further investigation is needed. A review of the media reports at the time confirms that the initial 9/11 account was indeed seriously wrong and that this is the version on which Tony Blair seems to have based his decision making. Politicians and commentators said that Al Qaeda succeeded in this unprecedented, audacious and well-planned attack because they had immense resources and, in the words of Condoleeza Rice, that in the US government "nobody could imagine" that such an attack might occur. Blair made similar comments. However we now know that the main features of the 9/11 attacks had all been built into various Pentagon war games in the months before 9/11, that Rice had ignored multiple warnings from top officials and foreign governments, and that the failure of the CIA to co-operate with FBI investigations into the presumed 9/11 hijackers was a major factor in the success of the attacks. The 9/11 Commission chair said at one point that the attacks "could and should" have been prevented. There is much further evidence to support this view. It may be noteworthy too that the CIA's Inspector General later gave George Tenet, CIA director at the time, a severe reprimand over 9/11 on grounds that remain secret. If you agree with the consensus view now, that failings of the US authorities, glossed over at the time, were a significant factor in the success of the 9/11 attacks, and if London was trusting information supplied by Washington rather than carrying out their own checks, this has a major bearing on the UK decision to invade Iraq. It would mean that the alternative policy to war was not properly evaluated. This would have been to avoid launching the invasions, deal with terrorism in the ways that had always been followed up to then, and deal with the causes of the intelligence failings at home. 5. WAS 9/11 ADEQUATELY INVESTIGATED PRIOR TO WAR? We are not asking you to mount an entirely new investigation into the 9/11 attacks, but we hope you will agree that judgement by media acclamation and White House press release is not a sufficient basis to launch two wars. Therefore we submit that you should note in your final report that the 9/11 attacks have never been fully investigated by a well resourced and independent body prepared to consider a range of ideas on what the full story might be. Many people in the US, including many of the bereaved and members of the 9/11 Commission itself, emphasise the lack of a thorough investigation. The 9/11 Commission was starved of funds, given a very tight timescale and was refused access to key evidence. See note below for some more failings of the 9/11 Commission. The promised trial of alleged ringleader Khalid Sheikh Mohammed, the only person ever indicted for a central role in the 9/11 attacks, seems to have been postponed indefinitely. A new 9/11 investigation, and particularly a sharing of the mountain of still secret evidence with the public, is all the more important in the light of the many details which still have not been satisfactorily explained. For instance there is so far no official explanation for the recent discovery by associate Professor Niels Harrit of uncombusted high energy artificial nanothermite particles in the dust at Ground Zero, which indicate the possibility that the collapse of the buildings was some sort of a controlled demolition which could explain the rapid and symmetrical downward collapse of the three (sic) multistorey WTC buildings. Official sources insist the collapses all happened spontaneously in a way unforeseen by any expert before the event, but independent experts have not been given access to the evidence or the computer models which government scientists rely on. Hundreds of architects, engineers and demolition experts have spoken out publicly calling for a new investigation. Another reason for a further investigation is that the 9/11 Commission discovered the CIA had a top secret 80 strong Osama Bin Laden unit working on projects in the months before 9/11. This contrasts with the explanation proffered by many politicians and commentators that Washington had lost interest in Afghanistan. The CIA reportedly refused to talk to the 9/11 Commission about vast areas of what the OBL unit was up to. Similarly no details have been given of the Pentagon's anti-hijack exercise running, apparently by sheer coincidence, at the exact time of the 9/11 attacks and which we now know interfered with the response from air traffic control and the Pentagon. Even the flight manifests for the hijacked planes are still secret. As well as the more general recommendations mentioned above concerning the preventabilty of the 9/11 attacks and the failure to investigate the whole affair in any depth, we submit that you should ask some specific questions to Tony Blair. Before he gave his almost unconditional support to the Bush White House, did he task MI6 or any other UK agency to make an independent assessment of the 9/11 attacks, of who was behind them, and of how they came to be carried out so successfully? Did anyone mention to him that the Oklahoma bomb was at first wrongly blamed by Washington on Islamic extremists? Did he and his advisors discuss the possibility the attacks were successful as a result of failings in the US? Did they inquire if 9/11 resulted, as now seems possible, from a CIA sting operation gone wrong? Finally we submit that you should take adequate evidence from us and make appropriate recommendations in your report, not only because the decision to invade Iraq is at the heart of your inquiry but also out of respect for the rights of the bereaved and other victims of many nationalities in both the 9/11 attacks and the subsequent wars in Afghanistan and Iraq. 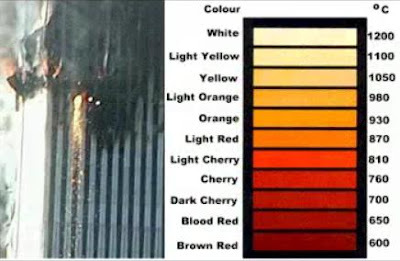 Please take public testimony from Paul Warburton on the general legal issues, Niels Harrit on the nanothermite at the World Trade Centre, and Ian Henshall for an overview on how the official 9/11 story has changed and whether it is reliable. Other experts could probably be made available including retired FBI and CIA officers. The only official attempts to investigate 9/11 were the FBI probe that was ended prematurely and run by Bush appointee Michael Chertoff (later Homeland security chief in charge of the Hurricane Katrina disaster), and the 9/11 Commission. The latter was severely underfunded, short of time, and stuffed with Washington insiders. It never considered any scenario other than the official story. Its executive Director Phillip Zelikow was caught reporting regularly in secret to the White House, while Senator Max Cleland resigned angrily denouncing the process as a whitewash. Later the chief investigator John Farmer wrote that there was an agreement in the White House or the Pentagon to lie to investigators. The Commission failed to clarify the role of the CIA's top secret Osama Bin Laden unit and its refusal to pass on important information to the FBI prior to the attacks. It failed to investigate the collapse of the three World Trade Center buildings one of which was not struck by a plane and which we now know fell at free fall speed. For the chaos and manipulation of the 911 Commission by Zelikow and the Bush White House, see the book The Commission by Phil Shenon the New York Times specialist on the subject. I am writing to voice my support for the letter from Reinvestigate911 below. Let there be no doubt that these two issues are inescapably intertwined. President Bush's March 18, 2003 letter to Congress authorizing the use of force against Iraq, includes the following paragraph. As you are probably well aware, there is a direct connection to the illegal invasion of Iraq and the attacks of 911. Put simply: the threat of future 911 style terror attacks provided a "justification" for the preemptive War. However, such a justification is totally undermined by damning material evidence that has come to light indicating the 911 attacks involved a huge degree of "inside help". My task here is to alert the Inquiry to the serious implications of ignoring this evidence. 1. Failure to recognise the staged nature of 911 helps to prolong the false paradigm, held in the minds of policy makers and the general public, that the War on Terror and the invasion of Iraq (and Afghanistan), can be somewhat justified as reaction to a heinous crime committed by Muslim extremists. 2. that; failure to recognise the hard evidence here places the population of many Western countries under threat of draconian anti-terror legislation, physical harm and continued psychological damage. Most troubling of all is the fact we are susceptible to further false flag incidents that may involve the deaths of hundreds of thousands of innocent people. My fear is that new terror attacks being planned by elements from within "our own side" will involve biological, chemical or nuclear devices. 3. that; failure to address the false flag nature of 911 leaves the door open for those war obsessed elements of US and European governments to attack countries like Iran that do not pose a threat and have not broken any International Laws. Dear Reader, it does not matter how many real terrorists are caught or captured if elements of our own Governments and intelligence services have a hand in committing terrorist atrocities. Please take action on the evidence that proves US complicity in 911 so we can see an end to the War in Iraq and an end to the wider War on Terror. 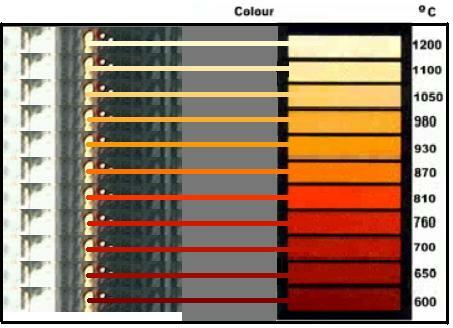 1 - Steel does lose strength at high temperatures. Where was it ever claimed otherwise? You need to prove those temperatures though. Absolutely. And NIST has not done this. 2 - The fire protection were removed from the truss on the floors where the impact occurred. This is speculation that's never proven. Exactly how much was removed and exactly how? Exactly how much was needed to remain to keep the building up longer than an hour or until it was completely evacuated? What's more, fireproofing is only good for up to 2-3 hours. Other skyscrapers have burned over 5 hours and have not collapsed. 3 - It is not necessary to remove all fire protection to make the structure susceptible to fire. 4 - The failure of a structural element can cause the failure of others. Sure, but will it bring on sudden rapid global collapse of the entire structure? It may, but we have no examples of this outside of controlled demolition. 5 - Progressive collapse does exist. Sure. But not sudden rapid global collapse complete in a matter of seconds like what was witnessed three times on 9/11. The only real progressive collapse caused by fire was everything one would expect: localized, asymmetric, and nowhere near free fall rate. This thread is not about evidence of controlled demolition nor NIST findings. It's about arguments that support the claim the towers (WTC 1 and 2) couldn't have collapsed due to fire. It's still unprecedented and unproven. This is the problem. I couldn't agree more. "What the debunkers will never be able to show is the sudden global collapse of an entire high-rise complete in a matter of seconds. Especially of a building only on fire for about an hour." Mister citizen assumes the only fuel available for the fires was the jet fuel. It's a repeat of the "no steel over 600oF" claim which itself is based on a bastardization of the NIST report's conclusion. Given his premise is incorrect, his video is of little to no relevance. I do not assume that jet fuel was the only source of fuel, and I never will. The point of my video was to show that the amount of fuel in each of the Towers was smaller than debunkers had portrayed in the past. This is supposed to be a crucial difference between the fires in the Towers and other skyscraper fires. Clearly jet fuel would have created higher temperatures than office material. When the WTC towers were built there was extensive controversy over their safety in emergencies. The NYC Fire Department protested, as did a host of other agencies and professional associations. The buildings were constructed in bulk and height far in excess of what municipal construction and zoning codes allowed. However, the Port Authority, a quasi-governmental agency with exceptional powers inherited from the regime of Robert Moses, was specifically exempt from compliance with municipal codes. The real estate, construction and finance industries were powerful supporters of the project. Aside, I add that in 30 some years of examining buildings in New York, I have found none, zero, which are fully compliant with municipal building codes. It is a terrible, little reported scandal of the city in which it is considered to be bad business to fully comply with codes. Also, pertinent to the video's specific claim: the effect of fires following such an impact were not considered. This ignores the several pre-9/11 sources which indicate the fires were taken into account. All Dr. Shyam Sunder had to say about this was that "Whether the fuel was taken into account or not is an open question." Why the speed issue is always brought up is beyond me... Once the collapse initiated it was collapsing regardless of whether it took 10 or 30 seconds... Mr citizen obviously cites the commission report, which for whatever reason truthers to this day still hold the absurd belief it was intended to be a engineering report as opposed to a bipartisan investigation concerning what lead to the attacks happening, not determining how or why the towers failed. This is pointless rambling. I only cited the Commission Report to make clear that the official investigators were the first to make claims of "10 seconds." The speed issue is very important, and it has been shown the the fall rates of the Towers were at the very least consistent with controlled demolition. "First time in history" is a bowl of laughs... To claim this requires an absolute bastardization and ignorance of steel material properties and general design case studies. His opinions being based on such faulty premises renders his video irrelevant. Exactly how is my video irrelevant? Debunkers find it unacceptable to compare other high-rise skyscraper fires to the Towers and Building 7, but comparing them to badly built toy factories and elementary schools is just fine. The only steel structures debunkers apparently do think are comparable are structures that have collapsed from fire, with none of them being steel skyscrapers. Throughout the thread some JREFers brought up Building 5's partial collapse from fire, which they seem to think supports the "fire can cause collapse" theory. This was a regurgitation of all the videos in your list preceding it. None of which had any reasonable argument made against them. This comment was pretty stupid, considering only "on-tenth" or so of WTC 1 & 2 each were burning. Makes me genuinely curious if he's ever seen a building up close while it was on fire. However, as I've already shown, Building 5 was almost fully engulfed and performed much better. He also believes the smoke emanating from WTC 7 was not from WTC 7... similar to the DRG/Jones claim that the smoke instead came from WTC 5... Which is what I do claim. He completely ignores the photos which show the exact same thing happened to WTC1. Apparently his "mystery" is part of his faulty premise... and this video is also not relevant to any degree. It is relevant because debunkers still cry claims of "25% scooped out!" or "there were fuel tanks in the building!" As long as debunkers keep making these claims, I see it as very relevant. Absolutely fail, the towers were not solid trees. And I never claimed them to be. What I do claim is that at least three times as much weight was acting on one side of the building, but instead of toppling it lost its moment of inertia and disintegrated. patriots4truth, these videos are little more than psuedoscience and regurgitation. I would be interested if you can offer your own argument instead of offering a regurgitation of 2006 from unqualified individuals. Thank you. These arguments clearly are groundless, and JREFers themselves have been shown to be nothing but psuedoskeptics. Hopefully, this will put what the Truth Movement believes in better perspective for the debunkers. I normally don't like discussing little anomalies in videos like this, but I found this kind of interesting. Some time ago I posted the image below and noted the single beam that's fallen much further than the rest of the debris, as if it was falling faster than freefall. In many videos this beam can be seen falling unusually fast, as if it was launched downwards. Up until today I had never bothered to time it, mainly because I couldn't find a continuous shot from a good angle. So not only were there horizontal ejections, there was also at least one downward ejection! How retarded do you have to be to think this is paint? I have had my fair share of irritating debates with debunkers, but this is one for the books. K.T. Penn, a man who has written a book titled Lifting Up the Couch Cushions: Exposing the Loose Change, has some of the oddest beliefs about 9/11 I have ever heard. Mr. Penn is known as "loosechangeexposed" on Youtube, and after commenting on my first video aimed at refuting his claims, he grew increasingly irritated and insisted that I had refuted nothing. Ultimately, he challenged me to make a response video to one particular Youtube video of his. Before jumping into that, let's take a look at some of this man's beliefs about 9/11. We've seen debunkers make some pretty questionable claims, but these claims are nothing short of extraordinary, especially by debunker standards. K.T. Penn believes Saddam Hussein masterminded the 9/11 attacks. He believes his book will be included in the 9/11 Commission Report and taught in schools. He believes the theory that Flight 77's wings folded back as it hit the Pentagon, allowing it to enter the building. He believes he is smarter than the 1300 architects and engineers for 9/11 truth. He believes that I am apparently a "foreign douche." Anyway, here's the video he challenged me to refute. 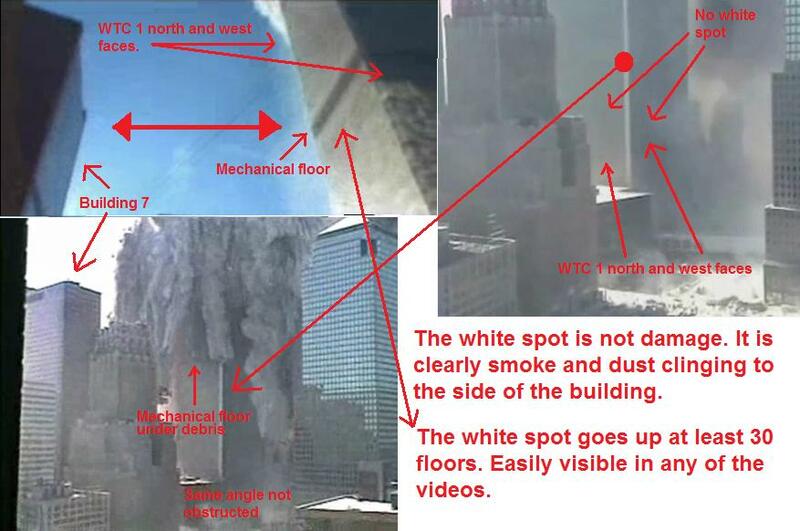 It supposedly proves what caused the damage on the lobby floor of the North Tower. No matter how many times I sent him this picture, he still didn't believe me and claimed I had to make a video response. Well, I did just that. Surprise surprise, he still doesn't believe me. I informed him I was done discussing the issue, as there are obviously more logical people I could be debating with. Hopefully no one will be stupid enough to be buying his book, but you never know. One odd thing I noticed though. For some reason, K.T. Penn apparently charges more money for a used book than a new one. Pat Curley of the Screw Loose Change blog asks,"How Retarded Do You Have To Be? 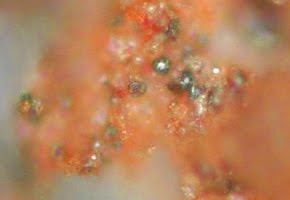 To think there's no way the iron microspheres could have come from this:"
Well Pat, here is a picture for you, and what Steven Jones had to say back in 2007. 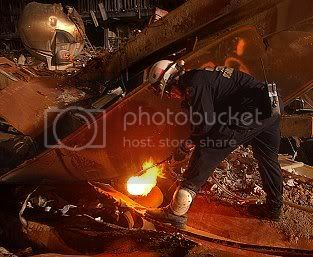 It has also been suggested that thermate may have been used at ground zero (GZ) during steel-cutting operations for clean-up there. 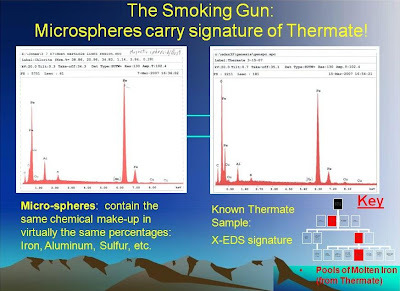 However, no documentation whatsoever that thermate was so used has been provided, and so for this suggestion to be seriously considered, the proponents will need to provide documentation for the use of thermate and disclosure of the composition – including KMnO4, S, etc. 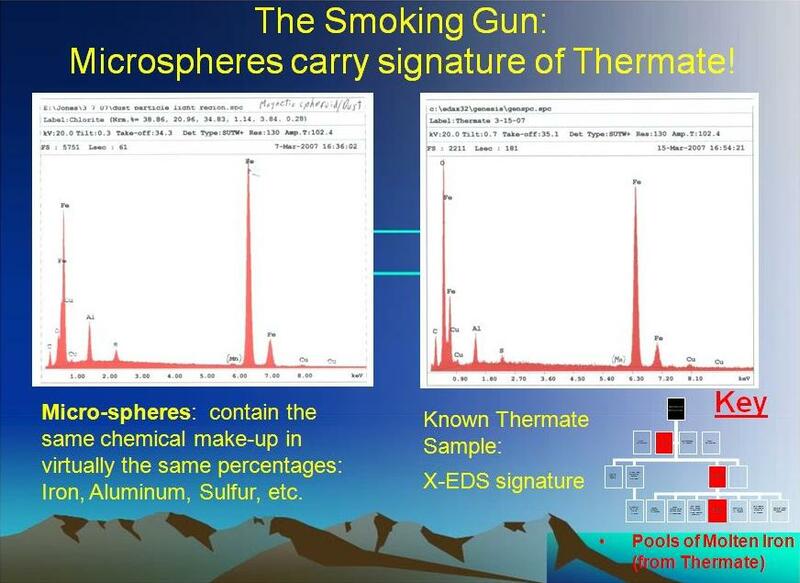 In this way, we can compare the alleged thermate use with what is observed in the dust. 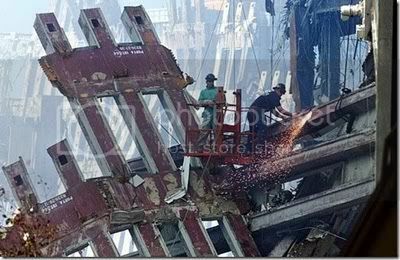 What is thoroughly documented is the use of oxyacetylene torches in the cutting of the steel at ground zero. In addition, the distance to the apartment from the clean-up operation is about 100 meters (about a football-field length), while in our experiments with thermite/thermate, the glowing sparks (metallic droplets) are seen to travel only a few meters or yards. The holes formed in the two broken windows of this apartment were about two feet by three feet, increasing the unlikelihood that any metallic spheres from the (improbable) use of thermate at GZ could have entered the apartment during the few days before the dust was collected. 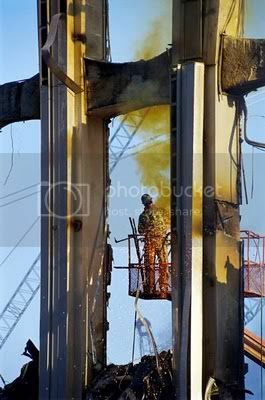 (On the other hand, the fast-moving dust clouds on 9/11/2001 traveled for many blocks and certainly would have carried small residues with them, for example, residues from thermite cutter-charges used to help destroy the Towers.) 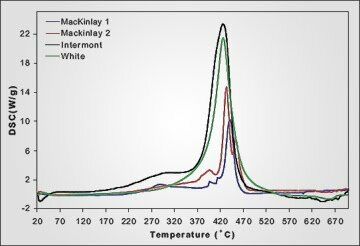 Furthermore, iron-rich spheres were found in the WTC dust several blocks away from GZ in large numbers which essentially eliminates the possibility that these spherules could be due to thermite used at ground zero. 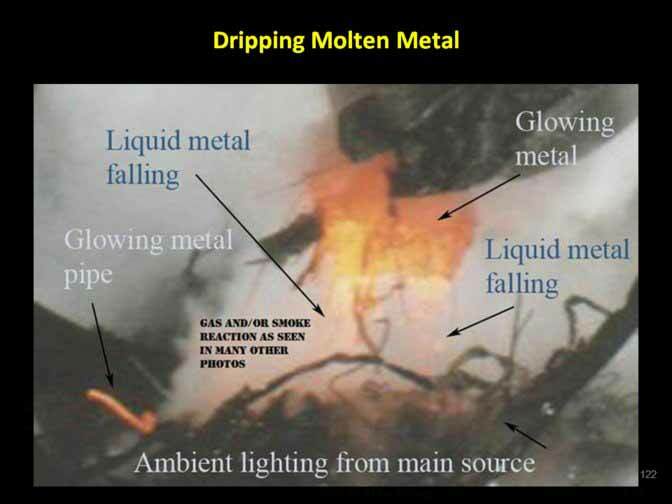 Then we have the fact that this blog has pointed out to Pat four previous times this year (once that I know he read) that the 2009 Thermitic Material paper by Jones and his colleagues demonstrates how the red-gray chips found in the WTC dust actually create these molten-iron spheres when ignited. Again Pat, this is evidence of a high temperature chemical reaction, which would not happen if they were just chips of paint as "debunkers" have asserted. At one time, laziness could account for Pat asking such a retarded question, but now it seems that he is just asking the type of question that comes natural to a special guy like himself. Labels: 9/11 retarded, 911 retarded, Why Do People Ask Retarded Questions? Boredom has prompted me to have some fun parodying the skeptics. I think my banner is much better than the one on the Skeptic Magazine website! I love that quote from Shermer (from the History Channel hitpiece), if he really believes it then it doesn't say much for skepticism! And here's some tag lines I came up with for The Skeptics Society. Other contributors feel free to add your own. "The Skeptics Society: Because believing powerful people get together and plot ways to get more power is irrational!" "The Skeptics Society: Everything's a Coincidence!" "The Skeptics Society: Because it's a common rookie mistake to confuse explosive nanotechnology with paint!" "The Skeptics Society: Don't believe the anti-establishment conspiracy theories - believe the pro-establishment conspiracy theories!" "The Skeptics Society: Forensic proof of explosives is not enough to prove the 9/11 conspiracy, but a few mined quotations and a typo is enough to prove the 'Intelligent Design = Creationism' conspiracy!" "The Skeptics Society: There's no god - because we're assholes!" "The Skeptics Society: We haz cumpyutr simulayshuns!" "The Skeptics Society: You will never find a more wretched hive of scum and villainy!" "The Skeptics Society: Not only did we come up with the joke, but we also slayed a dragon and defeated an army of jew robots. Your egos are just too out of whack to accept the truth!" No Shelton, those 1,300+ architects and engineers aren't stupid. They're moonbat crazy! Now thanks to recent research by "jimd3100" we know that a one Douglas F. Cochrane was the naval aide Mineta was referring to. When 9/11 activist Jeff Hill followed up and phoned Cochrane, asking him what the orders were, Cohrane replied that he was "really not prepared to talk about this subject at all." Jeff then pleaded with Cohrane to ease his mind about whether the orders were stand-down orders, to which Cohrane replied that he had "nothing further to add" to the information already publicly available. Hill then asked Cohrane if he thought answering his questions would get Cheney in trouble, Cohrane paused, and then stated that "The 9/11 Commission Report is the authoritative narrative on the events surrounding 9/11." As 911myths.com says regarding the Norman Mineta issue, "Get out there, read the contrary views, see if they can deal with the points we raise, or have compelling new arguments of their own." Stop falling for the obvious Rockefeller/CFR provocateured controversy and think about what you're about to do! Stop giving the Dawkins cultists the moral high ground! September 11 should be a day of remembrance and truth-telling, not fighting! Or don't blame me when the globalists say "This is why we can't have nice things" and take your freedom of religion away from you!